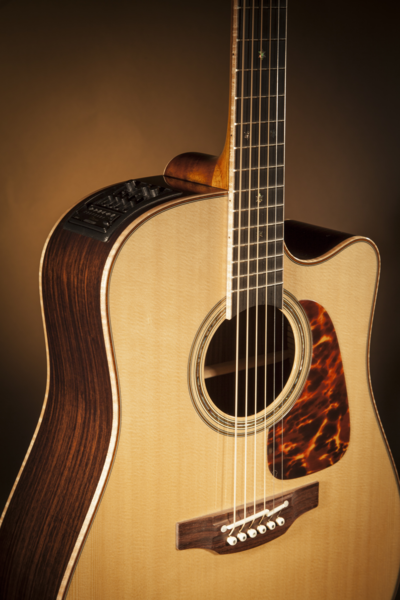 Takamine’s powerful P7DC dreadnought combines tradition with contemporary refinements; a solid spruce top with “X” top bracing and solid rosewood back and sides for rich clarity and projection, a convenient Venetian cutaway for easy access to the upper reaches of the fingerboard, and elegant maple body binding with dark wood purfling and abalone rosette. 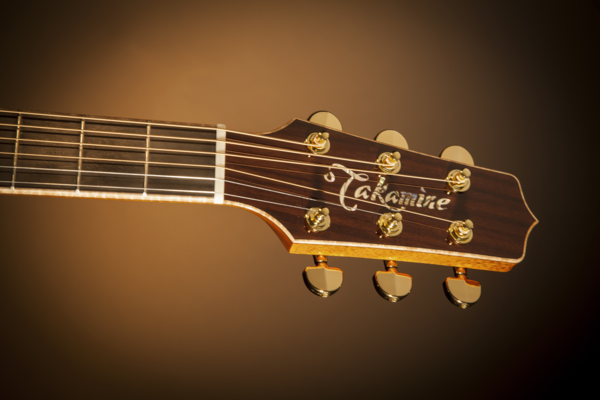 Premium design appointments include an ebony fingerboard with ivory binding, abalone “snowflake” inlays, a dark rosewood headcap with abalone Takamine logo, gold tuners with gold buttons, a natural bone nut and smooth gloss natural finish. 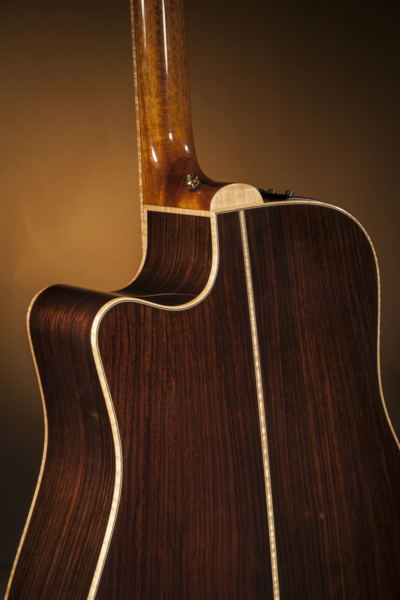 The P7DC comes complete with a premium archtop hardshell case.